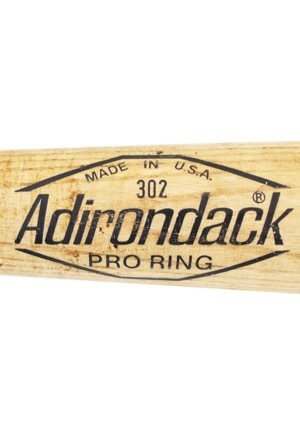 Manufacturer: Adirondack Model Number: 288RJ Labeling Period: 1981 Length: 36 inches Weight: 34.9 ounces Wood: Ash Finish: Natural. 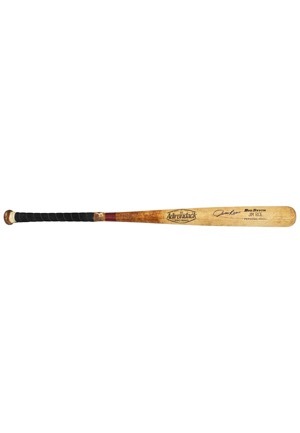 This bat shows excellent use with a handle crack and several ball marks are visible on the barrel. 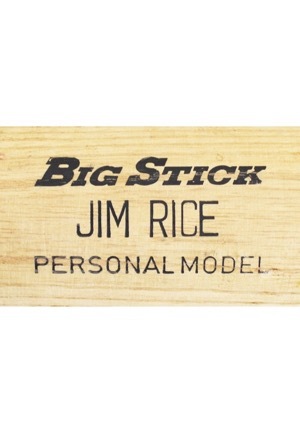 The model number, order number and year are stamped onto the knob. 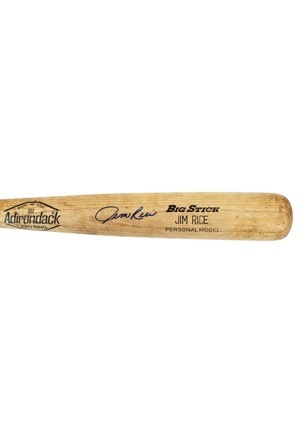 Rice’s number “14” is written on the knob in black marker. 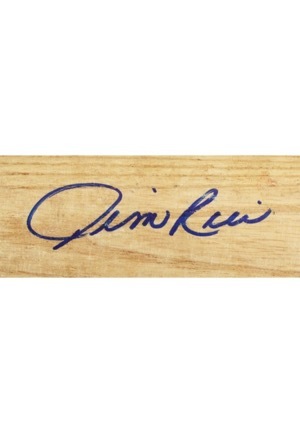 Rice signed the barrel of the bat in blue ink and in our opinion the signature rates an 8. 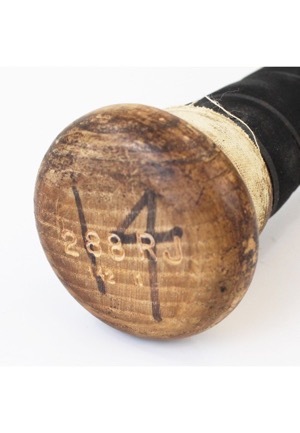 PSA/DNA has graded the bat a GU 8.5. Accompanied by a LOA from PSA/DNA and a JSA LOA.